Prince Edward Island (PEI) lies off the East coast of New Brunswick and was only accessible by boat or plane until the eight-mile Confederation Bridge was completed in 1997. 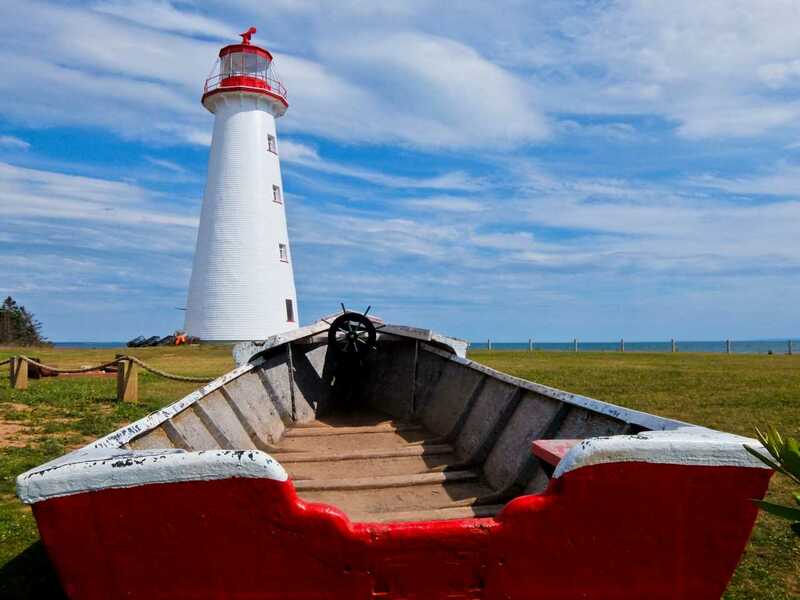 It’s no accident that author Lucy Maud Montgomery made the island the setting for her famous 1908 children’s book, Anne of Green Gables, preserving forever a moment lost in time. Its lush green gentle hills are surrounded by some of the best beaches in the world and the sea is stacked with lobster, mussel, oysters and tuna. Add to that the potatoes, nurtured by its fertile red soil, and you have the recipe and the ingredients for Canada’s food island. 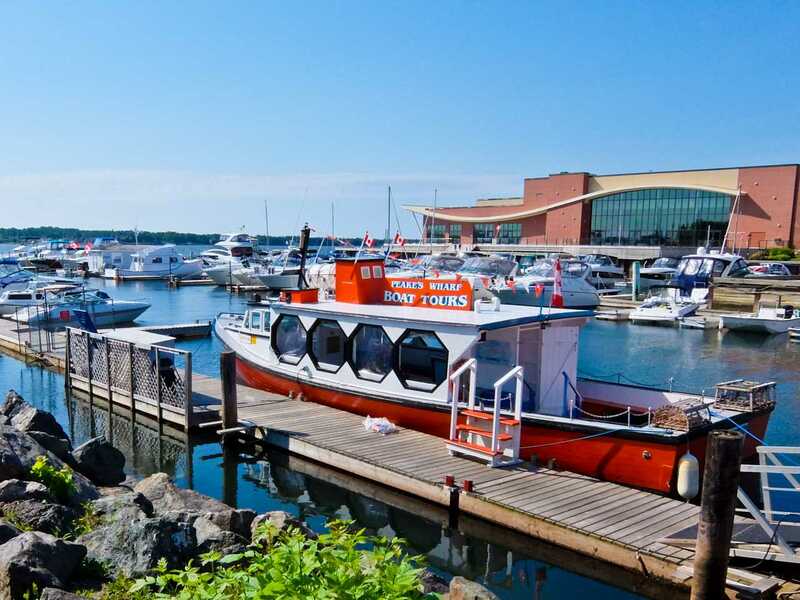 I arrive in Charlottetown, the tiny capital, famous for being the birthplace of modern Canada. Until the 19th century, the country was divided into separate British colonies and delegates met at Province House in 1864 to forge modern Canada. Ironically PEI didn’t join until a few years later and Newfoundland held out until 1949. 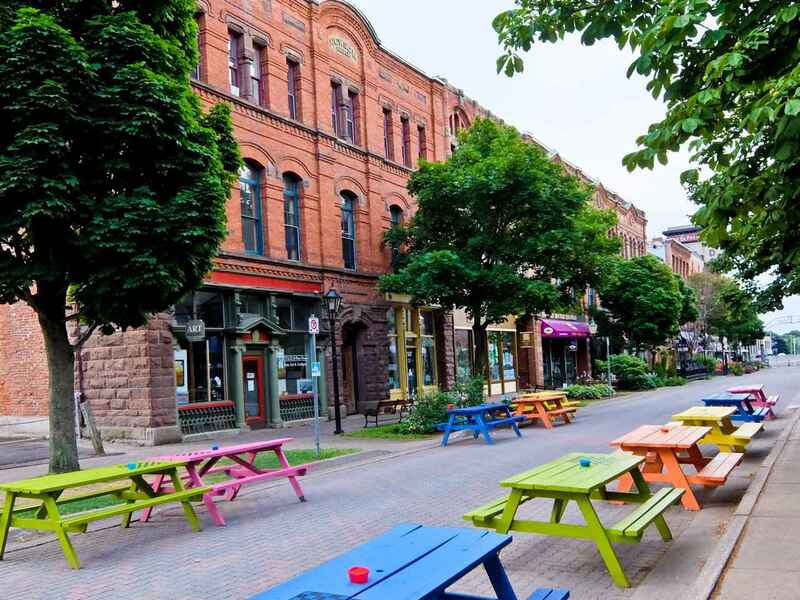 The heart of Charlottetown is Victoria Row, a pedestrianised street whose red brick buildings house an array of bars and restaurants. It seems like everyone has patio seating and it is the perfect place to people watch, often with live music. 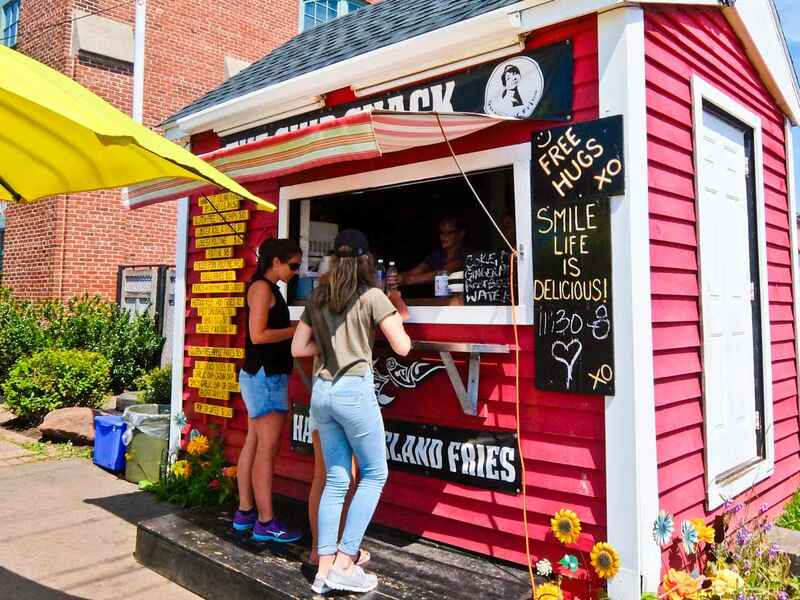 A good way of getting a taste for the food of PEI is take the Taste the Town Walking Tour. First stop is MacKinnon’s Lobster Pound, right next to the water at Peak’s Wharf. It sells a variety of seafood including mussels, clams and of course the famous red crustacean. I get my first taste of the local Malpeque oysters here they’re a perfect balance of sweet and salt. Back in town, I visit the Gahan House brewery, and enjoy their Blueberry Ale a refreshing mix of organic berries and wheat beer. Just across the street is the Olde Dublin Pub, above the Claddagh Oyster House, and their mussels are always fresh off the boat. Finally it’s down to The Chip Shack where Caron Prins, the Queen of Fries, makes the best in the world from the island’s Russet-Burbank potatoes. Now Charlottetown is not shy of promoting its famous heroine and Anne of Green Gables–The Musical has been running continuously since 1965 at the Confederation Centre of the Arts. There’s even a gift shop and a chocolate store dedicated to her, so I set off to the Green Gables Shore to find out more. It’s a short 30 minute drive, though glorious rolling countryside, before I hit the PEI National Park. This hugs the North shoreline for 40 km and has seven supervised beaches and over 50 km of hiking and cycling trails. Lucy Maud Montgomery grew up with her grandparents near Cavendish but their house no longer exists, although there’s now a small museum here. The big draw, however, is the restored 19th century farmhouse where her cousins lived, the setting for the book. 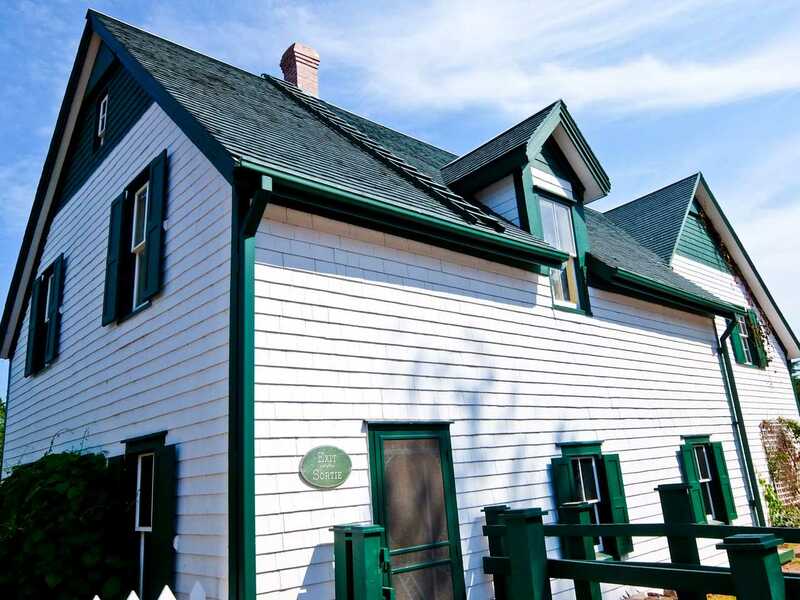 It’s known as Green Gables Heritage Place and the house is furnished as described in the novel, complete with her original typewriter. Of course there’s an interpretive centre and gift shop, but two trails take you around some of Montgomery’s favourite woodland haunts, and you get a strong sense of the leafy landscape that inspired her. 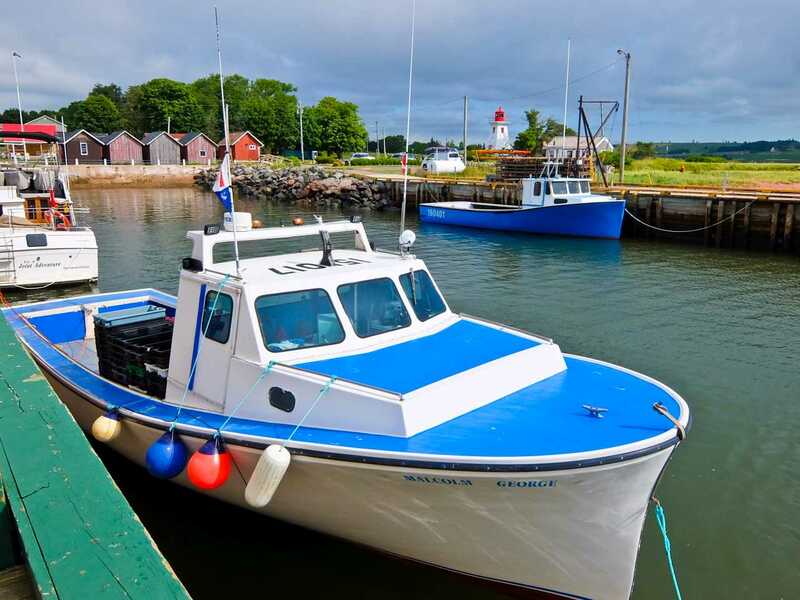 Take the Green Gables Shore Tour from Charlottetown. I want to see more of the island so set out on the Points East Coastal Drive, mercifully devoid of traffic. 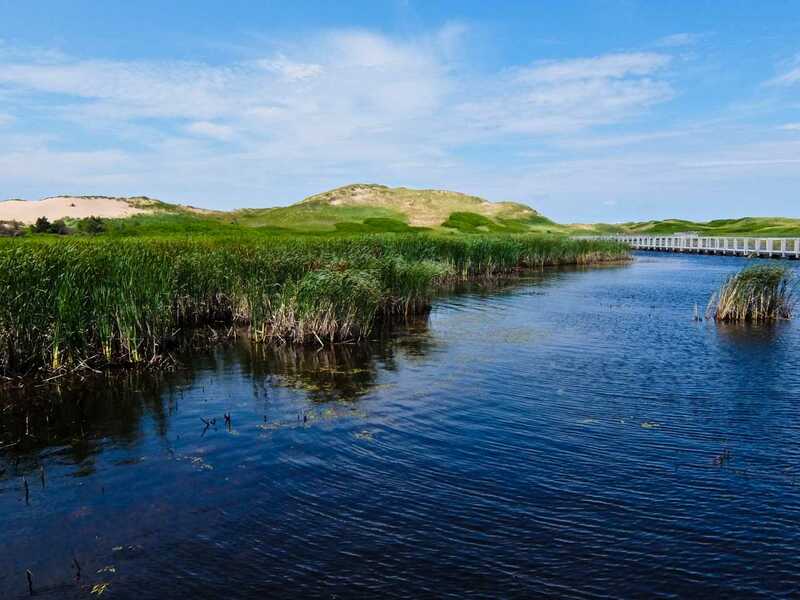 My first stop is the Greenwich National Park, founded in 1998, to protect the largest sand dunes in PEI as well as rare plants and animals. I take the boardwalk across the marshes, passing close to the towering dunes and arrive at a secluded beach of soft sand. There’s time for a quick dip before I carry on to the beaches on the East side of the island. Everywhere I go I seem never far from water, and the combination of red cliffs, emerald green forest and ocean is never bettered than at Red Point Provincial Park. Nearby are the famous “Singing Sands” which squeak as you walk along the beach. 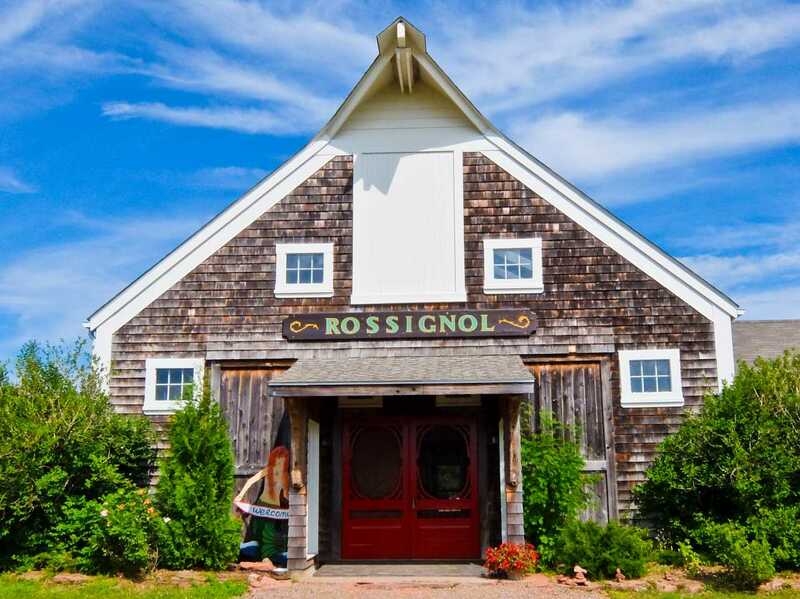 I take the southern route back and stop off at the Rossignol Winery in Little Sands for a tasting. It’s in a beautiful location, overlooking the Northumberland Strait and was the first winery on the island, starting off with fruit wine in 1994. Grape wines subsequently followed but their products made with berries and even rhubarb, are where they excel. Their Raspberry Festival, Blackberry Mead and Wild Blueberry have all won prizes but they also do a nifty Pinot Noir. There’s just time to catch a glorious sunset at Point Prim lighthouse before setting back for Charlottetown. 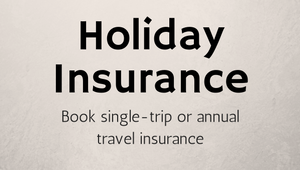 Take the Coastal Lighthouse and Winery Tour. My final destination, before I take the Confederation Bridge to New Brunswick, is Victoria-by-the-Sea, once a busy port but now a sleepy fishing village. Its colourful clapboard houses with their ornate porches, are arranged in a neat grid, just back from the wharf and the lighthouse. In the 1900’s steamers would bring trippers escaping the big cities, and the theatre, built to entertain them is still going strong. Unfortunately I’m on my way back to those big cities and savour my final plate of seafood in the gentle calm of Prince Edward Island. 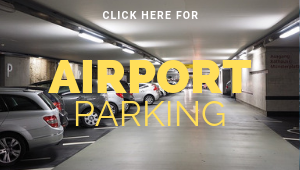 There are no direct flights from the UK so you have to connect via Halifax or Montreal. If you prefer gentler travel then Via Rail’s “The Ocean” train travels three times a week from Montreal to Monkton in New Brunswick. The Great George Hotel makes a comfortable base in Charlottetown. Local 343 has good food and live music. 8 Water St, Charlottetown. Tourism PEI has information about the island.